What is the best process for funeral planning? It is often assumed that funeral planning is a stressful experience. While you will be feeling the emotions and loss, it doesn’t mean that you need to be burdened with stress. Select a good funeral director in the area so that you have support with this process. 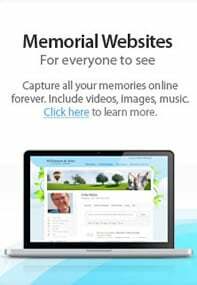 You can learn about funeral and cremation services in Wirtz, VA and move forward with a plan based on the desires of your family. Selecting the right funeral home is undoubtedly the most important decision you will make for funeral planning. Having a good staff and knowledgeable funeral director gives you the coordination and planning support to create a beautiful event. Conner-Bowman Funeral Home & Crematory brings years of experience to the community. You can feel good in knowing that you aren’t working with amateurs. We believe in a hands-on experience to provide custom results for every family. Our team has experience with every kind of funeral planning, including traditional, modern, and contemporary services. Contact us if you need basic funeral planning, small memorials, formal events, direct cremation, cremation with services, and more. The main goal is for us to learn about your desires and preferences. Then, we work through every detail of the event based on your needs. If you are searching for a reputable funeral home in the area, then you need to learn more about the reputation we’ve built over the years. Conner-Bowman Funeral Home & Crematory has been leading the industry with the best solutions for families of all backgrounds. We offer two funeral home locations, as well as a crematory owned by our company. What are the Preferences of Your Family? When you start planning the funeral, one of the best tips you can follow is to consider the preferences of your family. Do you have specific customs or traditions that should be included in the event? Considering these details will help you in the creation of the perfect funeral services. It is common for families to integrate traditions that have been maintained through the generations. These traditions might be focused on cultural details or religious practices. The activities can be customized in any way that you can imagine. Simply talk to us about your thoughts, and we will cater the event based on your requests. But you don’t need to feel obligated to stick with tradition if it isn’t a good fit for your needs. You have many options for unique funeral and cremation services. Read through the information on our website and talk to our team about the range of solutions that can support your needs. One consideration is the location where the event will be held. Do you want to meet with your family and friends in our funeral home? We offer two locations to support the community. These funeral homes are designed with beautiful décor, spacious rooms, and all of the facilities required for a respectful event. At the same time, our team is also happy to help with an event at another location if preferred. Some families want to hold funeral services in a church or community center. Other families want an intimate experience by holding the funeral at home. There isn’t a “right” location for the memorial or funeral. Our team can provide the support required for planning as well as coordination and staffing on the day of the event. You should never be afraid to customize funeral and cremation services in Wirtz, VA. There’s no reason you need to stick with a cookie-cutter funeral service. Instead, look for ways to integrate your loved one’s personality and preferences in the event. Adding their favorite things can make it a memorable, meaningful gathering for friends and family. For example, you can display arts and crafts, play their favorite jazz music, and showcase pictures of the family over the years.